Pi2Go Ultimate Kit is a Raspberry Pi programmable floor robot designed for middle-school children ages 8 to 16 years old. 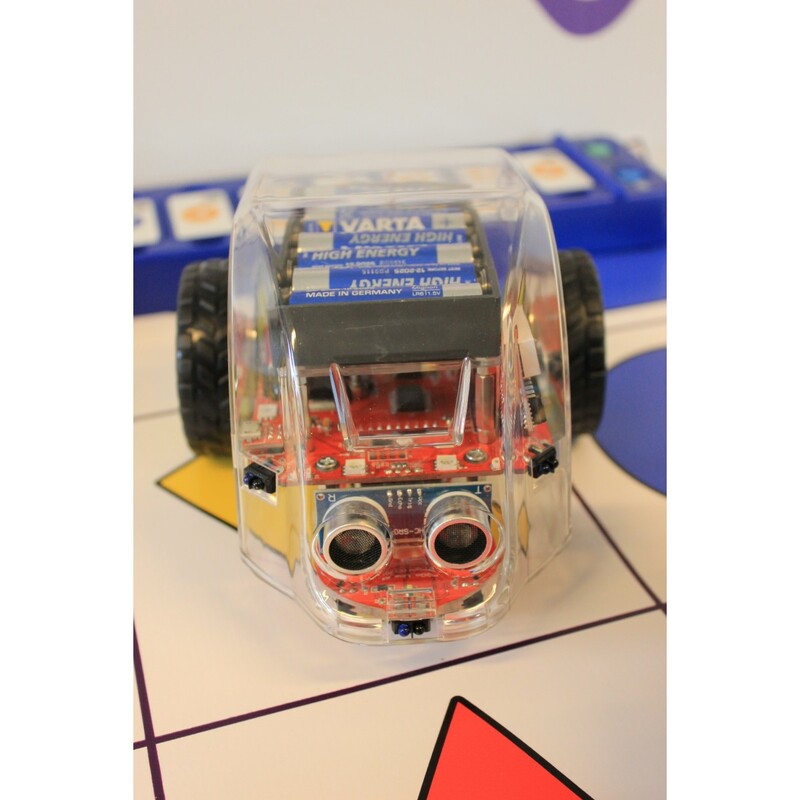 The Pi2Go is a Raspberry Pi controlled robot designed to unleash the power of Raspberry Pi in your classroom. The Pi2Go is Raspberry Pi Model B and B+ compatible and can be controlled using Scratch or Python. As it comes pre-assembled all you need to do is mount your Raspberry Pi and start programming. The transparent case not only protects the components but also allows you to see what is happening as it follows the commands of your on screen programming. With a wide range of inputs and outputs to program, the TTS Pi2Go is the ultimate programmable robot and is perfect for project based work. 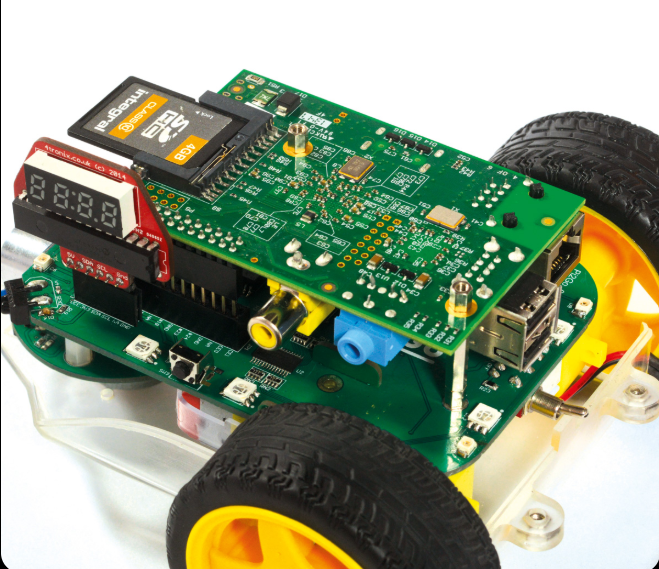 Let the students design, plan and write their program and once they're confident it'll work, try it out on the Pi2Go! The Pi2Go can be controlled and programmed wirelessly using Wifi or programs can be downloaded onto Pi2Go using the USB drive. Before we learn more about the robot, it’s important to know about the card. 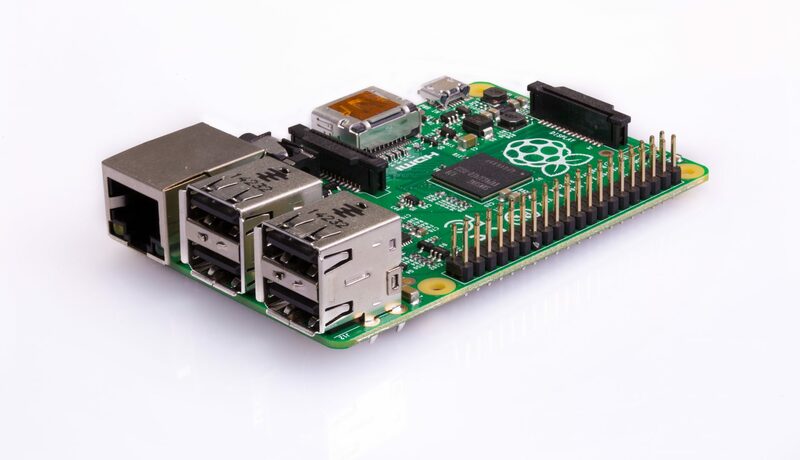 Raspberry Pi is a small-sized computer that plugs into a monitor/TV, and uses a standard keyboard and mouse to operate. It helps people to learn to program via Scratch and Python and perform computing functions. So what’s the robot about and who is it for? 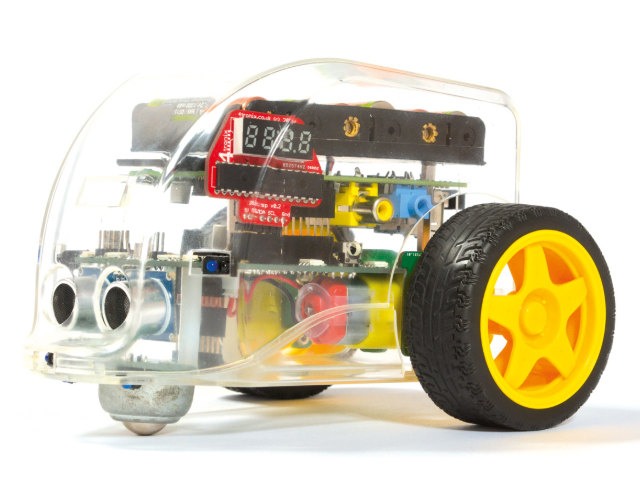 Pi2Go is a Raspberry Pi programmable robot, which is designed for kids (aged between 8 to 16 years old). The robot is compatible with both the different Raspberry Pi models i.e B and B+. You will get the B+ included in the package, so don’t worry if you don’t already have one. So you will be able to do programming with Python or Scratch and easily get started to control this pre-assembled robot. You can program and control the inputs and outputs of modules such as line following, ultra-sonic sensors, motors, RGB LEDs etc. Distance and Light variable can be controlled using the input sensors. It is fully compatible with Scratch and Python programming languages. Raspberry Pi camera add-on is possible. If you want everything that you need in one kit then Pi2Go Ultimate Kit is the one for you. With Pi2Go Ultimate Kit , you get Raspberry Pi model B+ compact card, pre-assembled robot, Wi-Fi dongle, 4GB USB stick, 12 rechargeable batteries with 3 charging units and a software. Unlike the Pi2Go basic kit, you will also get the Raspberry Pi B+ card, dongle and stick to equip you all the tools for a ready-to-start programming experience. 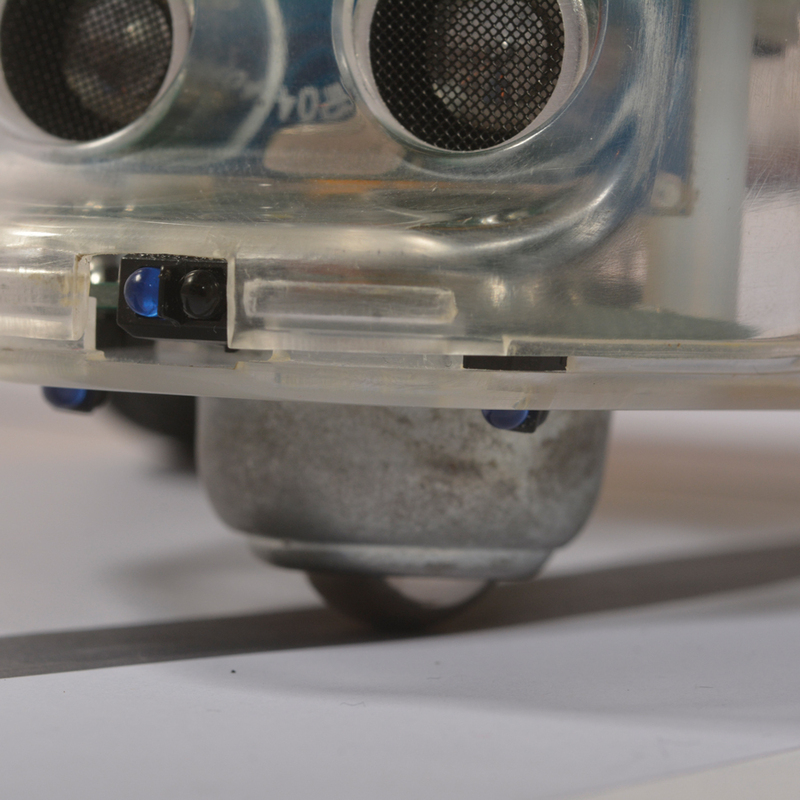 The see-through case robot is used for solving two problems; to keep components safe from any kind of damage and to help you learn more about the components working in-action for a better grasp of the technical electronic computing. For maximizing your learning potential and to provide a highly-creative learning experience, there are a range of input and outputs to program. So learning to program different modules, be it motors, ultra-sonic sensors, RGB LED and more can be managed via the program. You will also receive a WiFi dongle, that you can use to control the robot. Additionally, you can also chose to directly push program in to Pi2Go using the USB pen drive. There is no other important skill than to plan well, design creatively and program efficiently. With this robot, kids will get a safe learning environment to practice these skills and open their mind to modern computing. It’s interesting for kids, teachers and parents as well to build an engaging bond between them to work together. Kid’s best learn when they are motivated and self-driven. This robot focuses to improve technical but non-tangible soft skills as well. Not only will your kids get interested to study more but they will learn to focus and manage problems, identify correct solutions and being patient during the process.